Disaster Recovery - How Would Your Business Cope in a Cyber Crisis? From payment processes and email to networked PCs holding vital data, SME operations have become intertwined with IT. But while technology offers huge efficiency and productivity benefits, it also has the potential to bring an enterprise to its knees if no disaster planning for SMEs has been carried out. 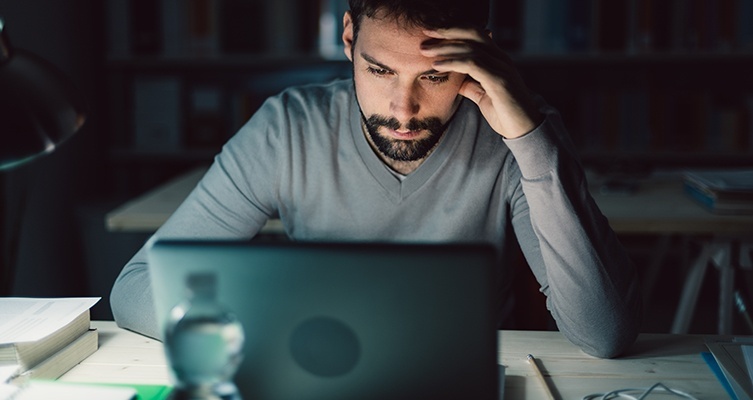 While traditional threats such as flood and fire remain a concern, it’s the impact of hardware or software failure, malicious cyber attacks and online security breaches that should be causing sleepless nights for unprepared businesses. 74% of SMEs report that they have suffered an information security breach, the average cost to individual businesses being between £75k and £311k. And critically, loss of customer/supplier trust in your brand. This means that even the smallest of businesses must understand how to prevent a cyber crisis, and have a plan to protect their operations should one occur. There’s a problem though – not enough companies do. In spite of the very real cyber threat, only 57% of businesses have a formal cyber/information security strategy and in this digital era, that’s not enough. Instead, SMEs must create an effective disaster recovery plan to protect themselves – but how? Efficient disaster planning for SMEs should focus on two critical areas – Business Continuity (BC) and IT Disaster Recovery Planning (IT DRP), both designed to keep the business afloat in cases of crisis. Compile an inventory of all IT elements including critical hardware, software, data and connectivity while creating an overview of which business processes, functions, assets and resources must be restored as soon as possible during a cyber crisis. Identify areas of key IT risk, such as relying on a single on-site data centre. If that should go down or be ‘destroyed’, how will the business survive? Instead, introduce a solution that sees critical information backed up securely and regularly – and preferably off-site – on a rolling basis, which is immediately accessible in the event of a disaster. By identifying such priorities and weaknesses, effective recovery plans can be drawn up that offer a clear roadmap for restoring core hardware, software and data to minimise any disruption. Critically, once the disaster recovery strategy is in place, test it frequently to ensure that as the business expands, the recovery plan remains relevant. Remember, like its own relationship with your business, IT itself is interconnected – if one element should fail due to a cyberattack, the whole infrastructure could grind to a halt. Implementing a coherent BC and IT DRP strategy can be a daunting task for a SME. The company may only have a single IT person or someone working on an ‘as needed’ basis. That’s why many small businesses are turning to third party providers to create, execute and manage their DRP plans for them. A reputable consultant can offer a raft of cost-effective options to protect an SME. These include access to secure data servers that automatically back up valuable data in the cloud, and the provision of continuity offices that can be occupied immediately if an SME’s own premises become inaccessible. Whichever route the SME chooses to take, the bottom line remains the same – small businesses must take steps to safeguard their operations whatever the eventuality. By understanding effective disaster planning for SMEs, you can put your business in the best possible position for surviving even the worst-case scenarios. Many SMEs are ignoring or merely paying lip service to the issue of cybersecurity. Any IT infrastructure failures will not only impact on your bottom line, but they’ll also have ramifications for customer trust in your brand. Implement far-reaching business continuity and disaster recovery planning strategies to prepare your enterprise for the worst. If you feel your own IT department isn’t able to create a complete cybersecurity solution, bring some third-party IT consultants on board. Rolling out data and IT protection plans needn't cost the earth – and such diligence can be marketed as a genuine benefit to customers.